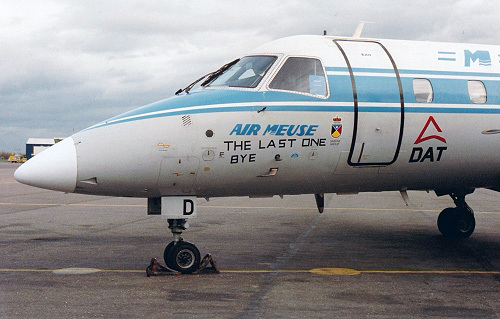 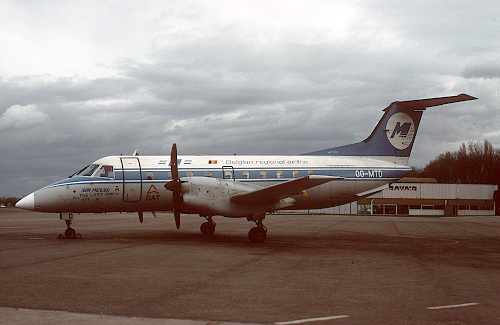 Description: the nineth Brasilia of DAT was delivered on November 30 1990 in the livery of Air Meuse and was such operational till August 1997 on behalf of Sabena. 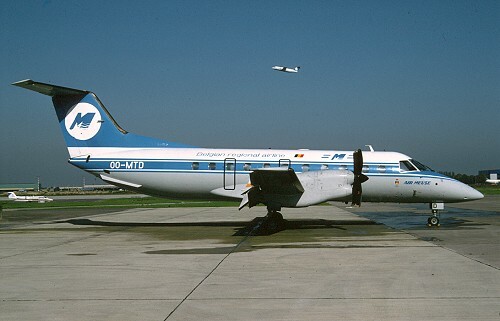 Description: wearing additional titles when the last flight to Amsterdam did occur on behalf of KLM on March 23 1997, ending a long lasting relationship of 30 years which began on September 17 1967 with a Beech Queen Air OO-VDD. 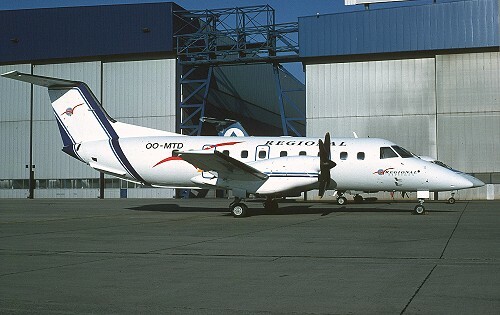 Description: during August 1997 it was cancelled to France, prior delivery, depicted with Belgian registration.